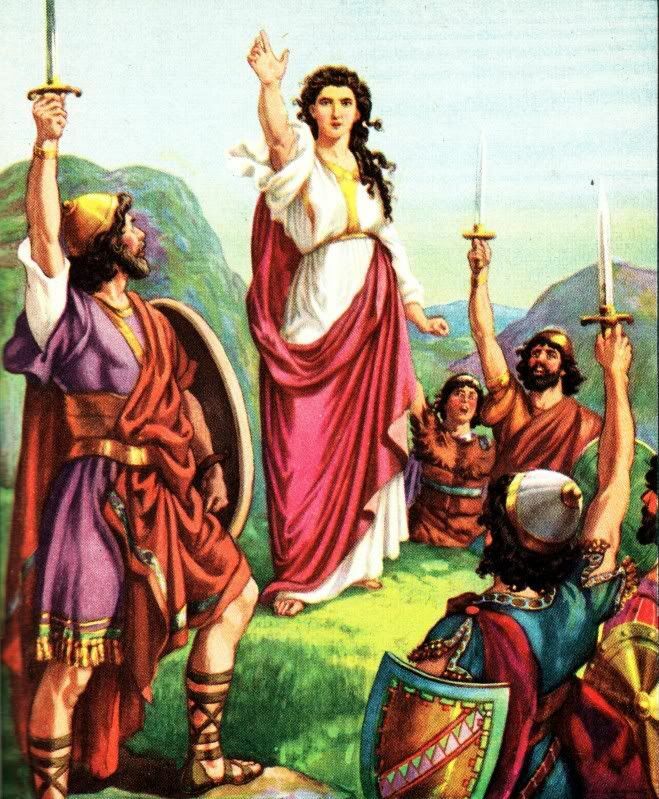 Today’s chapter introduces us to the fourth judge in Israel’s history, Deborah. After turning away from God, the people were oppressed by the Canaanite king Jabin of Hezor. Deborah called upon Barak to raise up an army and meet the Canaanite army in battle. Barak agreed, but insisted Deborah accompany him. She agreed, but informed him that he would not receive the honor of beating Sisera (the commander of Jabin’s army). Instead that honor would be given to a woman. When the two armies met, the Israelite army overcame their enemy. Sisera, in fear, left his chariot and ran away on foot. Barak lead his army to chase down the retreating army and killed them all. Sisera came to an ally camp, where he sought to take refuge. When he fell asleep, the wife of his ally came into the tent and killed him. She showed Barak what she had done, and he continued on to eventually defeat King Jabin. This story echos a similar statement made earlier in the Bible. “The Lord shall cause your enemies who rise up against you to be defeated before you; they will come out against you one way and will flee before you seven ways” (Deuteronomy 28:7, NASB). God cause Sisera to flee before the people of Israel. He set before them a call to rise up and overcome their oppressors. When they put their faith in God, He went to battle ahead of them and assured their victory. If they had not relied on Him, they most likely would not have had the same outcome. I feel that the message for us today is to trust in God, and He will cause our enemy to flee. The enemy I’m speaking of is sin. Sin creeps up on us, and tempts us with everything its got. But when we draw nearer to God, He causes the Enemy to flee from us. The apostle James writes, “Submit therefore to God. Resist the devil and he will flee from you. Draw near to God and He will draw near to you. Cleanse you hands, you sinners; and purify you hearts, you double-minded.” (James 4:7-8, NASB). The call is for us to draw near to God. That’s the same thing that the Israelites did under the guidance of the Judges. When we draw near to Him, He fights for us and causes our enemy to flee from us. Spend some time in prayer over this today. Let Him draw you into His presence, and feel relief when you sin has been overcome! Have you ever been angry? The obvious answer is “duh”. 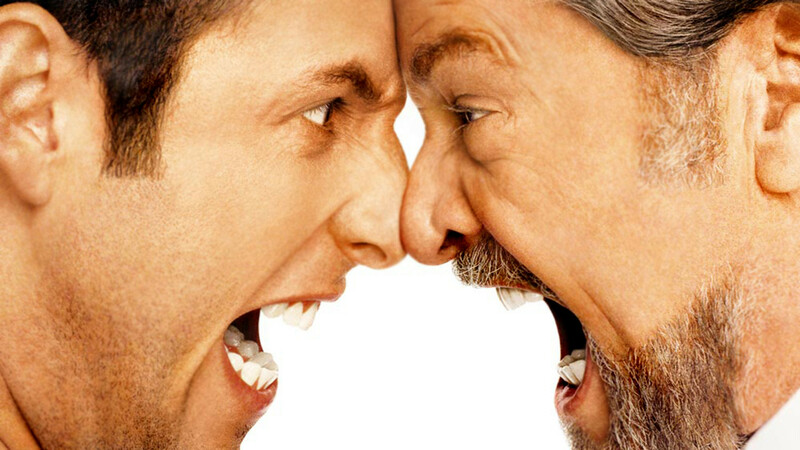 Being human we just get angry. As soon as I got to work today, someone yelled at me. Honestly, they were just trying to get my attention (I was listening to a podcast through some headphones), but something flared up from within me. I was angry, and my day continued to get worse. I just kept getting angry. There was no stopping me. If we came into contact with each other, I would be instantly mad at you no matter what you had done. This isn’t a very Christian way to be, and I certainly needed help getting past my anger. So I turned to the one place I could for help. I was taken to the letter of James. “Understand this, my death brothers and sisters: You must all be quick to listen, slow to speak, and slow to get angry. Human anger does not produce the righteousness God desires. So get rid of all the filth and evil in your lives, and humbly accept the word God has planted in your hearts, for it has the power to save your souls.” (James 1:19-21, NLT). Being angry to simply be angry is not what God intends for us. He wishes for us to be loving to everyone. This doesn’t mean you can’t get mad. There is a difference. Being mad is about being unhappy about a situation, but being angry is just being upset and nothing can help you until you want release from your anger. If you are feeling angry, or if you feel angry later on in life, I suggest prayer. Tell God how you feel and why you feel that way, and wait for a response from Him. You’ll be glad you did it. Author PrestonPosted on January 13, 2014 Categories Christian LivingTags anger, JamesLeave a comment on I’m Just So Angry! This morning, I was reading in Matthew’s gospel and came across a story that just floored me. If you look at Matthew 9:10-13, Jesus says something remarkable that I don’t think many Christians think about anymore. Jesus is sitting with tax collectors and sinners for dinner, when Pharisees and Sadducees saw what was going on and said to themselves “What is this man doing eating with those people?” (Matthew 9:11, paraphrase). Jesus comes back at them and quotes Hosea to pass on a message that I believe we all need to hear. “I’m after mercy; not religion. '” (Matthew 9:13, MSG). Do you hear that friends. He’s more concerned that you live and walk a Christian lifestyle, over the fact that you go to church and say you are a Christian! Just let that sink in before we move on. We all know somebody that fits into this latter category of Christian (the ones who say it but don’t do it). It’s unfortunate that they don’t comprehend how this is bad. Being a true follower of Christ changes you. There’s a reason Paul wrote, “Therefore if anyone is in Christ, he is a new creature; the old things passed away; behold, new things have come.” (2 Corinthians 5:17, NASB). I’m not the same man I was before I met Jesus, and neither are you (if you have truly met him). This group thinks that it is sufficient to simply claim Christ. While this is true (if we mean it, i.e. Luke 23:39-43) it can’t be all there is. James writes in his letter, “What us is it, my bretheren, if someone says he has faith but he has no works? Can that faith save him? If a brother or sister is without clothing and in need of daily food, and on of you says to them, ‘Go in peace, be warmed and be filled,’ and yet you do not give them what is necessary for their body, what us is that? Even so faith, if it has no works, is dead, being by itself.” (James 2:14-17, NASB). So clearly it is important to do more than simply profess the faith. While it is most important to take Jesus as your Lord and Savior, truly meeting him changes you into a new creation. I encourage you to spend some time in worship and prayer today. Thank Him for all He has done, and ask for Him to meet you where you are. There’s a song that has a great lyric for this. The chorus of the song goes “If there were a thousand steps between you and God/And you can see no way across the great divide/ Just take one step towards his loving arms/ And He’ll take nine hundred and ninety-nine”. So take that one step, and he will come running to you! PS I recently read a great book that talks about this very subject. If you are interested in reading it, you can get it here. 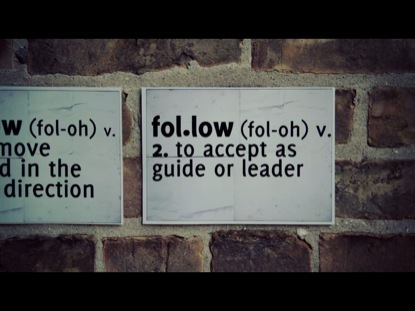 Author PrestonPosted on December 2, 2013 Categories Christian Living, DiscipleshipTags 2 Corinthians, following God, James, Jesus, Matthew, salvation1 Comment on Are You a Fan or Follower?